Premier Alison Redford has ordered Gary Mar to take an unpaid leave of absence from his position as Alberta's trade representative to Asia. 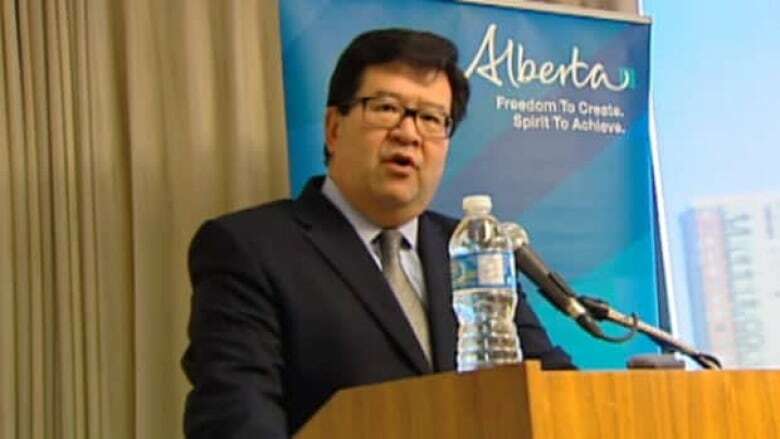 Premier Alison Redford has ordered Gary Mar to take an unpaid leave of absence from his position as Alberta's trade representative in Asia while the ethics commissioner probes a fundraiser held in Edmonton last week. Mar held a fundraising event at the Edmonton Petroleum Club on March 1 to help pay $262,000 in debts left over from his failed run for the leadership of the Alberta Progressive Conservative party. A source tells CBC News that one version of an invitation for the event mentioned Mar's position in Asia and implied that ticket-holders would learn how to do business in Hong Kong. Tickets were $400 and organizers auctioned off a trip to Hong Kong. "We were made aware of the situation late this afternoon," said Jay O'Neill, a spokesman for Redford. "Premier right away had some concerns with it and has asked the ethics commissioner, who's in a better position to review the case, to look at it." Mar's leave of absence is effective immediately. Wildrose Leader Danielle Smith says the allegations raise questions about whether a government-funded position was used to pay off campaign debt. "How could you not know that would raise eyebrows?" she asked. "How would you not know that would prompt an ethics investigation?" Redford appointed Mar to the position last fall, two weeks after he came second in the race to replace Ed Stelmach as premier and party leader.